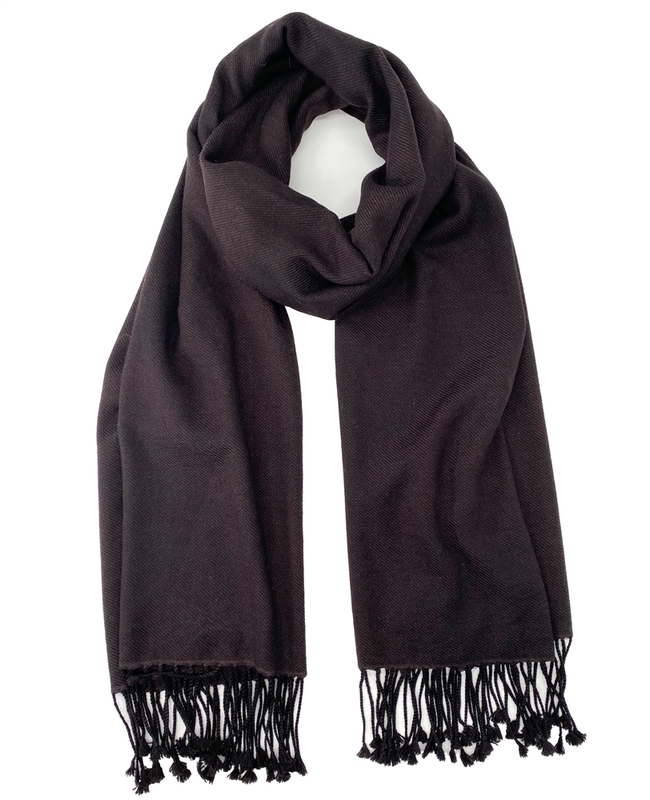 Pure Pashmina Shawl Chocolate 2 Ply 36"x 80"
The Pashmina Store is pleased to offer you premium quality Chocolate 100% pashmina shawls at exceptional values. 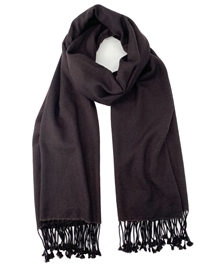 This luxurious dark brown shawl is a full 36" x 80", plus 3" tassels on both ends. 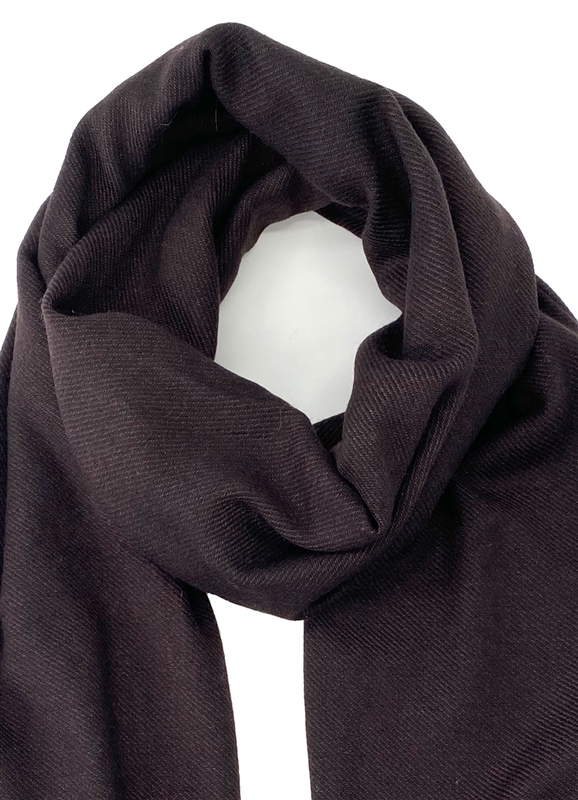 It is carefully hand made in Nepal using 100% soft and lightweight pashmina wool. Plus, it is classic 2-ply...making it extraordinarily comfortable. 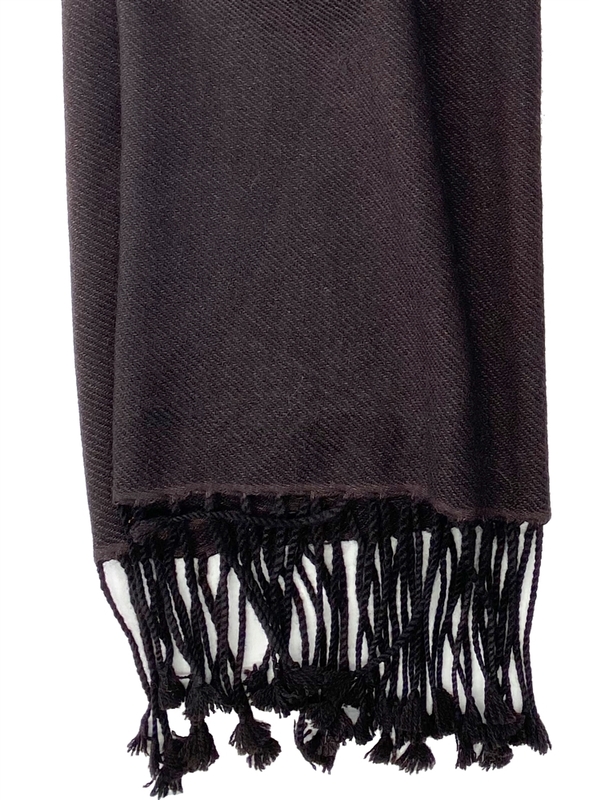 Pure Pashmina Shawl Dark Purple 2 Ply 36"x 80" Pure Pashmina Shawl Charcoal 2 Ply 36"x 80" Pure Pashmina Shawl Red 2 Ply 36"x 80" Pure Pashmina Shawl Midnight Lavender 2 Ply 36"x 80"
Pure Pashmina Shawl Boysenberry 2 Ply 36"x 80" Pure Pashmina Shawl Beige 2 Ply 36"x 80" Pure Pashmina Shawl Cranberry 2 Ply 36"x 80" Pure Pashmina Shawl Camel 2 Ply 36"x 80"
I received my order and everything look great!